This weapon is superior to all original types, including the best swords, fireballs and shells. The Explosive Arrows addon replaces standard little damage arrows, more precisely now the arrows carry an explosive and are more like explosive shells. 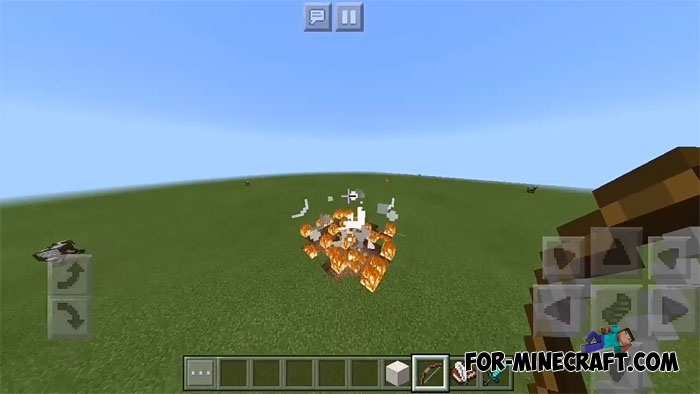 New arrows create an explosion in the place of contact with the surface or the mob and set fire to the place of the explosion that looks like napalm. Explosive arrows are comparable to dynamite, but they do not require flinting and explode only when they touch a hard surface. 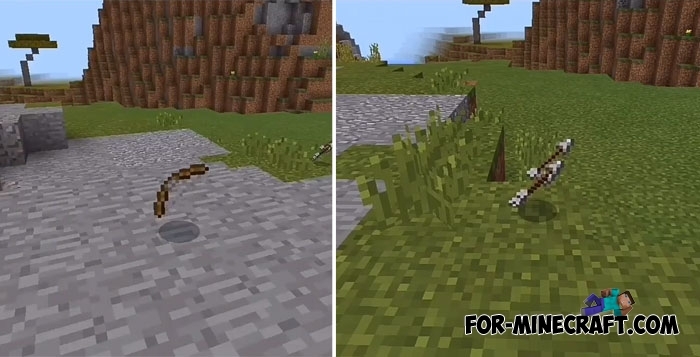 The crafting recipe is standard and very simple, but be careful when using these arrows next to important buildings and do not shoot a lot of arrows at the same time. How to install the Explosive Arrows addon?